Growing up as a child we were all exposed to the wonderful world of anime. Depending on what television station you tuned into, there would always be a weekend full of great anime to watch. One of the more popular of those shows is Dragonball Z. 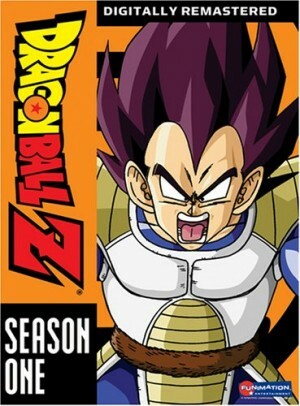 Releasing back in the mid to late 80's, Dragonball Z has been a franchise that has grown exponentially over its years on the air, building a larger fan base as each day passes. The wonderful thing about Dragonball Z is that it caters to everyone, not just the Shounen or Shoujo category. You become immersed in a universe that is full of twists and turns, with new adventures waiting for you at every corner. 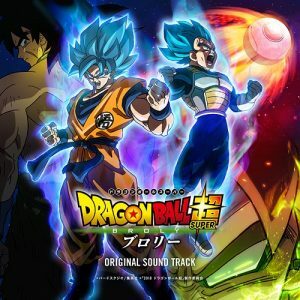 We thought it would be best to share that journey with you by providing six anime that we thought embrace similarities to that of the Dragonball Z universe. The scope of the story doesn't have to be the same, but rather how much it resonates throughout the entire journey. 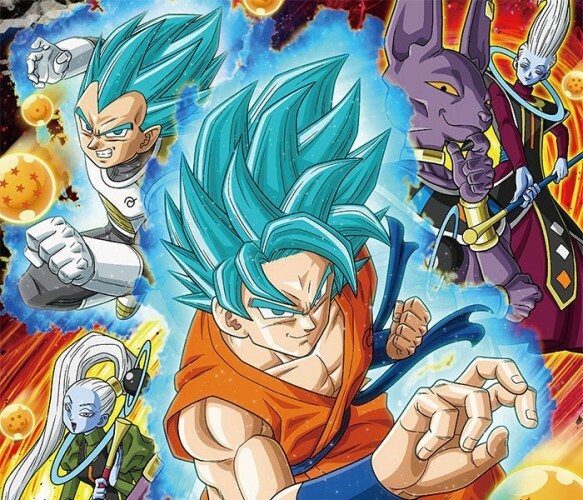 This is our updated version of the original six anime like Dragonball Z, so if you'd like to see our previous listing, be sure to check it out below. So with all that being said, let us hop on our flying nimbus and check out Honey's Anime's best six. We kick off our first six anime like Dragonball Z with the very popular franchise of Seven Deadly Sins. Meliodas and his team of knights have been accused of destroying the empire, while the real culprit remains behind the curtains. To win back the trust and love of the kingdom, Meliodas must reunite with his squad in order to reveal who the true suspect is and to put an end to the evil schemes this unknown character is about to unleash to the world. Many of the knights have either been exiled or sealed away, so with the help of Elizabeth along with Hawk to lead the way, the mission to put an end to this uncertain terror begins. 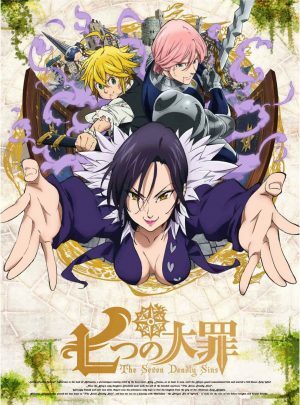 Seven Deadly Sins is an action packed adventure which revolves around Meliodas saving the world from ruin. We chose this because it plays a similar role to that of Goku on his journey to put a stop to the evil that threatens the world. Both Goku and Meliodas have a team of friends who help them along their journey to put an end to the terror that lies ahead, while they all have some form of special power that they've unlocked within to aid them in battle. Both Goku and Meliodas have a carefree attitude and will do whatever it takes to ensure that their friends are unharmed, even if it means risking their own lives. Their courageous efforts leave a lasting impression on their comrades which only bring the team together to destroy all forms of evil that stand in their way. One Piece follows main protagonist Luffy on his wonderful adventure to search for the most treasured item in the existence of man, the One Piece. 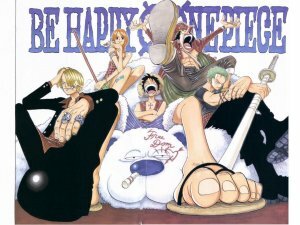 Luffy takes us along with him on his journey as he ventures out across the seven seas in hopes to find this sacred treasure that could change his life. His goal is not to be a blood-thirsty pirate but rather to embark on a journey with a good company of friends to support his passion. 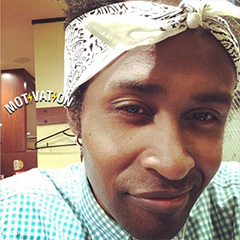 Following in the footsteps of his childhood hero, Luffy and the wide cast of comrades that travel alongside him experience crazy adventures, while uncovering dark mysteries and battling strong enemies along the way. One major similarity that we can most certainly touch on is that both of these shows have so many incredible arcs within the story, that it's hard not to watch since so much happens throughout the universe. Very few anime can achieve such an expansive and fluid story plot like One Piece and Dragonball Z, which is what gives it charm and grace. Each battle that Goku and Luffy encounter only encourages them to grow stronger all the while forming new friendships with allies along the way. With a balance of humor, strong character development, and exceptional battle scenes that you can never forget, we felt that Luffy and his team really formed a close resemblance to Goku and his journey to become a hero for everyone. One Punch Man came out swinging when it released late last year, and it attracted a massive following. 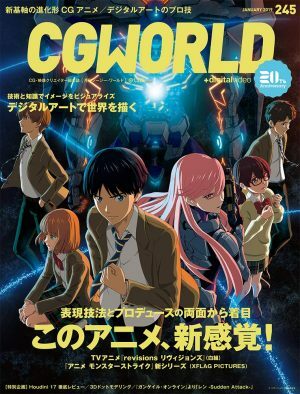 It tells the inspirational story of Saitama, a working class citizen who had dreams to become a hero for everyone. Due to his lack in strength and almost near death experience, he vowed to change that by training his body to the extreme. This intense ordeal led to Saitama losing all of his hair but rewarded him with the superhuman ability to punch his way through any enemy with a single blow, and thus the One Punch Man was born. 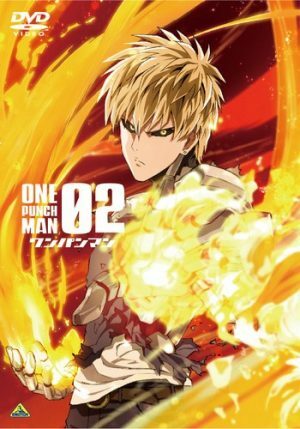 Along the way, Saitama teams up with Genos, a cyborg with every intention to see that Saitama succeeds in his mission, and looks up to Saitama as his mentor. Together they take on the world's strongest enemies to ensure peace remains in the city. Goku and Saitama share so much in common since the two of them have the same mission to save the world from the opposition. They train endlessly without any intention of stopping, putting themselves through stressful scenarios to ensure peace remains around them. Goku uses the hyperbolic time chamber while Saitama runs 100 laps, but in the end both end up coming out of their training with immense power and determination. The both of them share mentor like characteristics where they lead by example through their hard work and commitment, and showcase that in battles where it all matters the most. Each battle is beyond epic and always ends up with either hero walking away without much effort used. 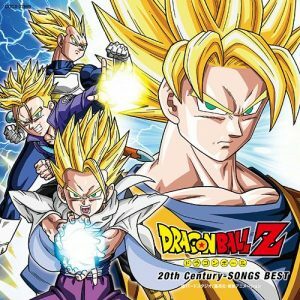 Any Anime Like Dragonball Z? 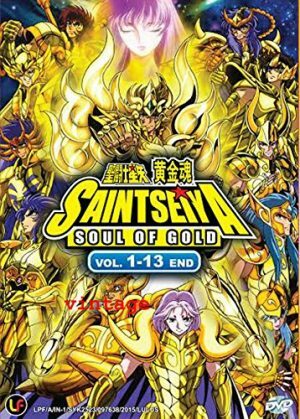 The Saint Seiya franchise has been around just as long as the Dragonball Z series, and both have seen an enormous amount of success over the years. Pegasus has been flying around the ends of the universe along with his team of mythical saints in order to defend the reincarnation of Greek Goddess Athena, in her battle to save the Earth from other Olympian Gods who are out to destroy it. Much of the story revolves around Greek Mythology and the constellations, as the sacred armors that each saint wears are a direct correlation to them, and are empowered by the mythical energy called Cosmo. This exciting series brings us closer to the enemy as Pegasus must now take on one of his greatest threats, the powerful Hades. Pegasus and Goku rely on mystical energy to ensure that they can overcome their enemies. Pegasus uses the power of the Cosmo to shoot his arrows, while Goku commands the powerful energy wave of Kamehameha to destroy any enemy that stands in front of it. Both stories have lasted for over two decades proving their arcs with a lot of depth, and their characters a lot of personality. Both Pegasus and Goku are warm hearted souls, and wear their emotions on their sleeve in battle which resonates more with the audience since we can relate to their struggles. With a powerful cast of characters along with some lighthearted humor, we recommend watching Saint Seiya. Jojo's Bizarre Adventure has a very exciting story that comes with many twists and turns that will leave you craving more. It follows Dio who, unsatisfied with his life decides to take over the Joestar estate with his own hands. Wielding the very powerful Aztec Stone mask, Dio sets out to destroy the entire Joestar family name including Jojo Joestar. 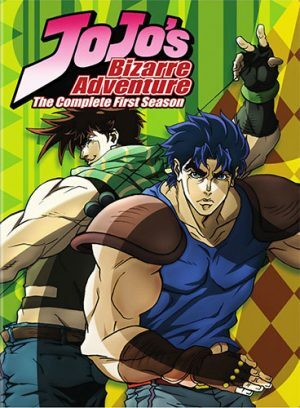 We follow the many thrilling expeditions of JoJo and his adventures, while facing off with the evil Dio or participating in a battle royal with the sinister Pillar Men. Goku and Jojo have a similar fate where they're both being pursued by the enemy and have to use whatever tools they have in order to put an end to it all. The grudge match between Jojo and Dio is very similar to that of Vegeta and Goku in the early story arc of the series, where the two would constantly battle it out to see who the strongest was. Jojo is out to protect his family name while Goku has the same objective to save Gohan and his wife from any evil that threatens them. Both stories have insane battle arcs where both heroes must somehow escape near death with the only power they know how to use: Their heart and extreme determination to protect the ones they love. Fairy Tail has managed to capture a wide audience over the span of its initial release, giving viewers a taste of wonderful entertainment and adventure. 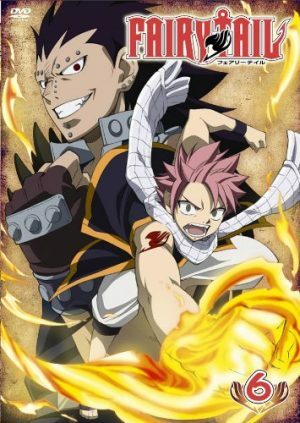 The plot follows the life of Natsu and his three wizard comrades from the notorious Fairy Tail Guild, on their adventures to put an end to the terror that waits beyond the horizon. 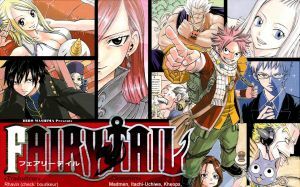 Each with their own unique abilities, Natsu forms friendships with new wizards along the way while Erza, Lucy, and Gray help to support him through the uncertain path that they've embarked on. While trying not to rack up extreme debt from the clients they help, Natsu must learn to cope with the experiences he finds along his journey while working together with his team to ensure the safety and security of the guild. Much like Dragonball Z both shows focus on team work to ensure that the world is saved from any major threat. Natsu and Goku both have superhuman strength that allow them to manipulate the elements and halt any disaster from happening. Both have the help from a great team of friends who look out for them in urgent times, while Natsu and Goku sacrifice a lot of their burning desire to make sure that nobody ends up severely wounded. Each and every battle escalates while the humor keeps you coming back for more, allowing for a more well balanced experience. The theme of staying loyal to your team and following your heart are just some of the similarities that both shows encompass, and we highly recommend checking out both. It's always exciting to tune into a show and always be on the edge of your seat wondering what will happen next. These six shows are a great example of a solid story, along with explosive action that will help keep you away from boredom. While there are a wide number of shows that share similarities to Dragonball Z, we could only fit six of them into our pockets. If you have any other anime that you feel should make the list, be sure to let us know in the comments section down below! 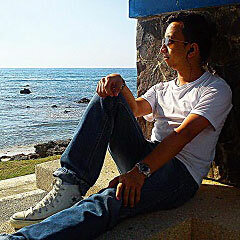 And also follow us on twitter for the latest article updates and tweets! 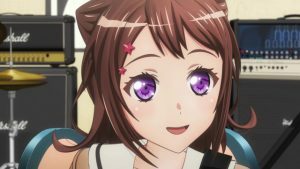 As always for all of your sweet anime needs, keep it locked here on Honey's Anime. 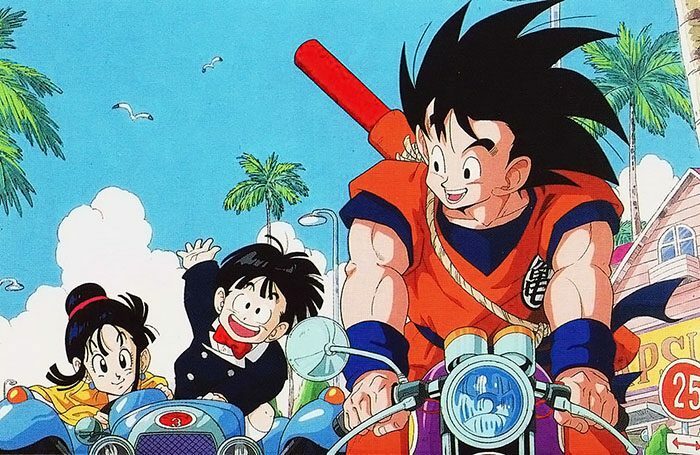 It is no exaggeration to say that the best shounen anime today will probably not exist if it wasn’t for Dragon Ball Z. 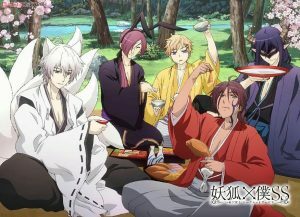 Indeed, this anime has and continues to captivate the hearts of its viewers. 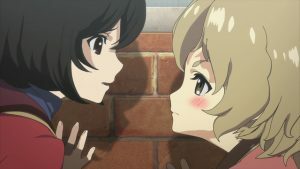 As a fighting anime, it may not be as complex as more modern-day offerings, but no one can deny that its simple, bare-bones story of good and evil, strength, redemption, and the bonds of friendship and love is one of the reasons why it has become an anime so endearing for generations upon generations of anime fans. 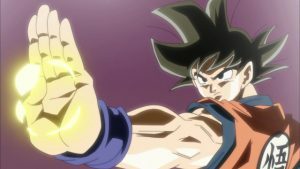 There is no doubt that the tale of Goku will continue to be a timeless classic in the annals of anime, and more and more fans will continue to fall in love with it for years to come. Of course, if you’re like me, you will certainly look for the next anime to watch. 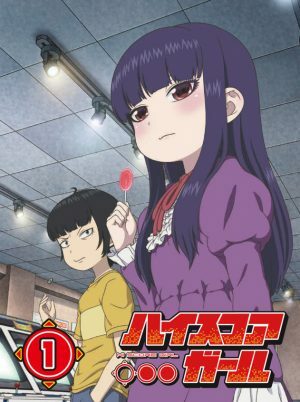 An anime with the same soul as Dragon Ball Z. 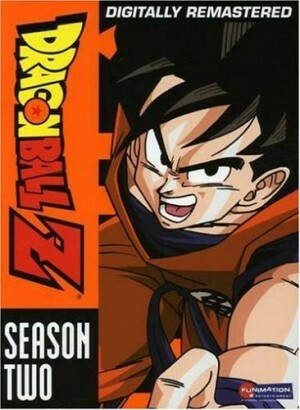 Here is a list of 6 titles that are similar to Dragon Ball Z! 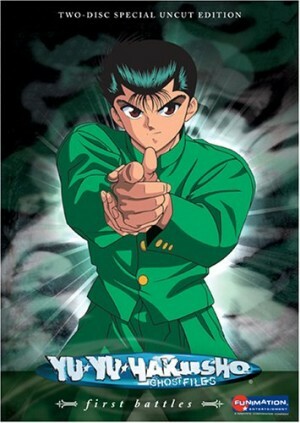 Translated as Ghost Fighter or Poltergeist Report in some countries, this 90’s classic revolves around the story of Yusuke Urameshi, a 14-year old delinquent who surprises the spirit world by sacrificing his life while committing a completely altruistic act - saving an innocent boy from certain death. Faced with the reality that it was not really his time to die, Yusuke gets another chance at life working as a Spirit Detective, a person tasked to protect the Earth from the onslaught of demons from the spirit world. Capturing much of the humor and intensity of Dragon Ball Z, Yu Yu Hakusho will immerse you in its fascinating world of spirits, demons, and humans who are courageous enough to take the mantle of mankind’s protector in order to keep the world safe. 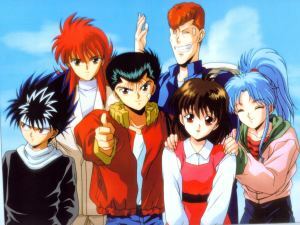 Just like Dragon Ball Z, Yu Yu Hakusho is also endowed with a cast of colorful characters and epic battles, all revolving around the theme of strength and the human heart’s desire to protect those it holds dear. A behemoth of an anime with a whopping 692 episodes (and still counting! ), One Piece is a fighting and adventure anime that is quickly gaining cult status. 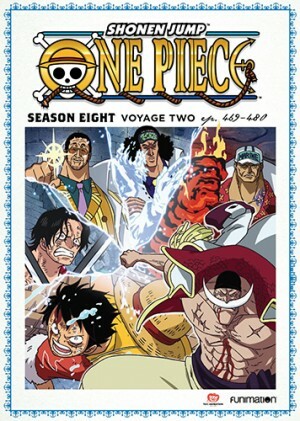 The story revolves around the Straw Hat Pirates, led by the lighthearted and somewhat naïve Monkey D. Luffy, who are out to get the ultimate treasure hidden by the fearsome Pirate King, Gold D. Roger, enigmatically called the One Piece. 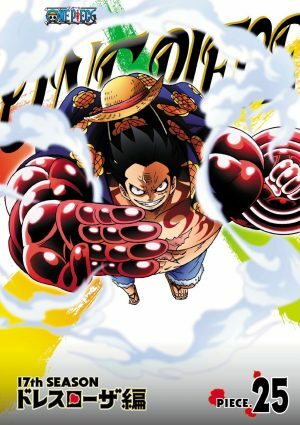 Featuring a cast of characters as memorable as Dragon Ball Z, as well as epic arcs and battles that go more and more massive, One Piece is a piece of work that a fan of Dragon Ball Z should never neglect. The greatest similarity between the two however, lies in the fact that both series are able to achieve that rare balance of lighthearted humor and over-the-top action that very, very few anime can achieve. Fairy Tail is another fighting and adventure anime that has managed to attract an immensely huge fanbase. 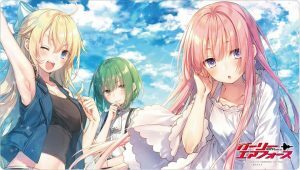 Set in a world where magic is commonplace, the story focuses on the adventures of four wizards from the titular Fairy Tail Guild, a guild famous for its tendency to overdo its assignments and rack up the collateral damage of its clients to ridiculous degrees. At the center of the story lies Natsu Dragneel, a wizard who was raised by a dragon and who carries the rare ability to control fire. Accompanying him is Lucy Heartfilia, a Celestial Wizard, Gray Fullbuster, an Ice Wizard, and Erza Scarlet, a powerful mage who uses Requip Magic. Together, they embark on memorable missions together, facing enemies that perennially get stronger. 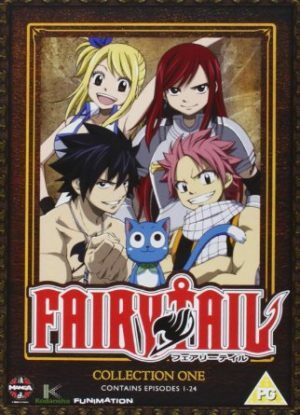 Featuring lighthearted humor and great action sequences, as well as the theme of friendship and loyalty to each other, Fairy Tail is akin to Dragon Ball Z not only in its execution but also in its heart. 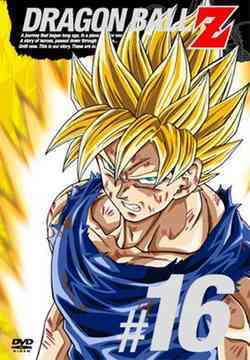 This anime is definitely one anime that a Dragon Ball Z should definitely check out. Any Animes Like DragonBall Z ? The first anime series revolves around the exploits of a young ninja from the village of Konohagakure, Naruto Uzumaki, as he trains to become a powerful ninja. Boisterous and somewhat of a delinquent, Naruto is looked upon as an object of ridicule in his village due to his body being the host of the Kurama, a Nine-Tailed Fox that attacked his village many years back.. Despite this however, he still aims to be their leader someday in order to protect his village, and the world in general. 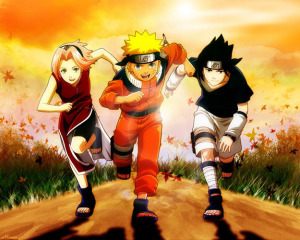 Being a shounen anime through and through, Naruto is one of the offerings in the fighting and adventure genre that can move its viewers on the same level as Dragon Ball Z. 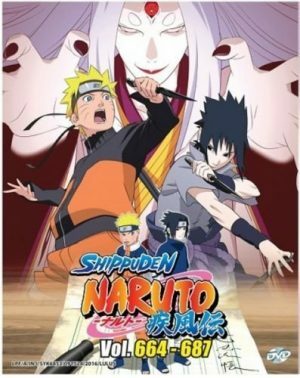 Featuring a huge cast of characters that are as unique as it is vast, epic battles that involve men and women of superhuman strength, Naruto is one unforgettable anime that any fan of the shounen, fighting, or adventure genre should never miss. 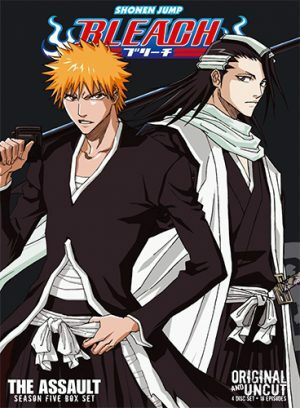 Following the adventures of Ichigo Kurosaki, a young man who inherits the powers of a Soul reaper from Rukia Kuchiki, a Soul Reaper working for the Soul Society who was wounded from a battle with a powerful enemy called a Hollow. Due to the fact that Rukia has lost her powers due to the transfer, Ichigo takes Rukia’s place as a Soul Reaper, ridding the world of the evil Hollows and sending good spirits called Wholes to the Soul Society. The similarities between Bleach and Dragon Ball Z can be pretty overt, from the intense action sequences to the epic battles between heroic warriors and powerful, evil antagonists. However, the similarities between the two shows can also be seen in the hearts of their main characters, as Bleach’s Ichigo’s greatest strength and weakness lie in his considerate and thoughtful nature, much like Dragon Ball Z’s Son Goku. True to form, both these main characters will stop at nothing to save those important to them, even if it costs them everything. 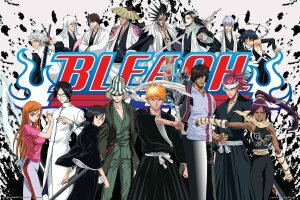 Truly an anime that will leave an impact, Bleach is something that a fan of Dragon Ball must definitely experience. 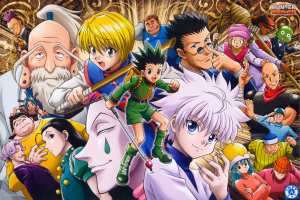 Coming from the author who conceived Yu Yu Hakusho, Hunter X Hunter is yet another masterpiece of the shounen and fighting genre. The story follows the adventures of Gon Freecss, a 12-year old boy who yearns to follow in his father’s footsteps as a Hunter, a person who travels the world doing the most dangerous tasks in the most dangerous circumstances. Entering the Hunter Exam, a rigorous examination infamous for its high casualty rate, Gon’s mind, body, heart, and spirit will be put to the ultimate test. 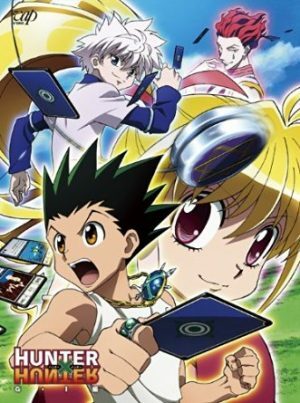 Featuring intense, unforgettable battles with characters that are as dynamic as Dragon Ball Z’s, a number of story arcs that are as long as they are exciting, as well as the theme of strength and growth through hard work and training, Hunter X Hunter is a tale of one young man’s journey to find the true meaning of strength that will surely stay in your heart and mind for a long time to come. Fighting or battle anime is one genre that will never lose its appeal. 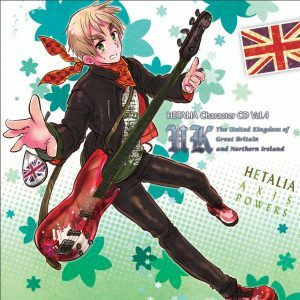 For as long as anime continues to exist, you can be sure that the creative minds behind the best anime today will come out with yet another masterpiece that will captivate your heart and pump up your spirit. 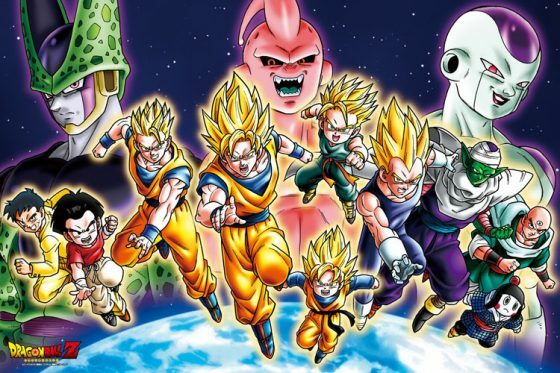 These 6 are but a few of the anime that are similar to Dragon Ball Z, but they capture much of what makes Dragon Ball Z so great. So try these out, and tell us what you think. So try these picks out, alright? Enjoy watching and keep your fire for anime burning! In the game of life, the Universe deals us a hand of cards. Some revel in the fortunes they are provided. Others resort to clawing their way up with the bad hand that they are dealt. A number would fold as the years go by. Our existence is a game of chances, and in this game, we all play. I play life in Hard Mode. [Throwback Thursdays] Dragon Ball Z review and characters - Kamehameha!